COLOGNE, GERMANY, 22, APRIL, 2013 – RTW, a leading vendor of visual audio meters and monitoring devices for professional broadcast, production, post production and quality control, is happy to announce that the half 19-inch 20700VID plug-in module version of RTW’s TM7 TouchMonitor has won an iF Product Design Award>/b>. The iF (International Forum Design) jury, judging on behalf of a global organization dedicated to strengthening public awareness of design through awards, publications and exhibitions, chose the 19-inch model as a standout product in the audio and video category. This is the second iF Product Design Award for RTW. 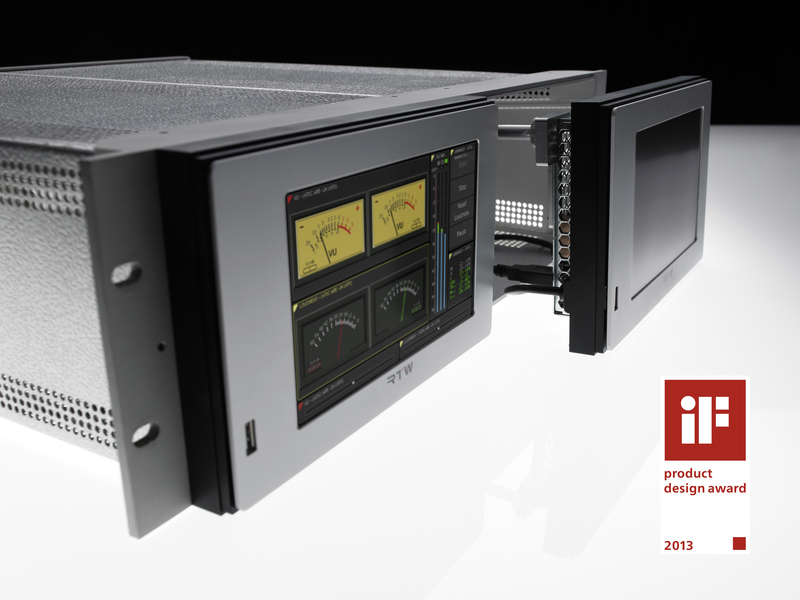 The company also won in 2011 for the TM7 and TM9 TouchMonitor series. Known the world over as a “seal of outstanding design,” the iF product design award honors outstanding achievements in design. It covers all areas of product design and serves as a platform for design-relevant innovations around the globe. All of the 2013 iF product design award winners are available at www.ifdesign.de. The half 19-inch 20700VID plug-in module version of RTW’s TM7 TouchMonitor is specifically designed for installation in waveform-monitor racks typically used in video studios, which are often difficult to fit. This version of the TM7 is technologically identical to the original TM7 model, providing ports for eight analog, eight digital (AES3 or AES3id) and 3G-SDI signals in different combinations (I/O options). Both versions feature a USB port that allows for preset import and export, license updates, and firmware upgrades. Featuring a 7-inch touch screen combined with unprecedented flexibility and modularity with an intuitive user interface, the TM7 is part of RTW’s innovative range of products that marks the next generation in professional audio-signal metering. The operating concept behind the entire line of TouchMonitor audio meters, based on 16:9 touch-sensitive screens, is unique. It offers not only a built-in online help function, but also allows for monitoring separate signal groups and using multiple instruments at the same time. This way, up to 16 analog or digital signals (with 3G-SDI interface up to 32) can all be displayed. In addition, the clear-cut surface layout of the product’s housing gives it a distinctive look, which can be consistently transferred to other RTW ranges of products and also allows for variations.